"Theories of Time and Space" by United States Poet Laureate Natasha Trethewey is the Songs of Eretz Poem of the Day for May 1, 2014. A link to the poem may be found here: http://www.poets.org/poetsorg/poem/theories-time-and-space. Natasha Trethewey (b. 1966) (pictured) is the current United States Poet Laureate and Mississippi Poet Laureate. She won a Pulitzer Prize for Poetry in 2006. 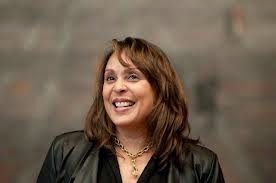 Reference to this and additional biographical information may be found here: http://www.poets.org/poetsorg/poet/natasha-trethewey. Trethewey's latest poetry collection, Thrall, was previously reviewed in Songs of Eretz http://eretzsongs.blogspot.com/search?q=Natasha+Trethewey. "Theories of Time and Space" is arranged in ten, irregular, free verse couplets. 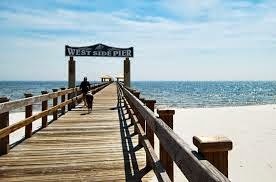 Trethewey was born in Gulfport, Mississippi (pictured), hence the references to Gulfport are probably inspired by personal experience. The message of her poem is simple yet profound--our experiences change us as we slowly travel through time at the speed of one second per second. We may look back at our past through memories and mementos, but we will never quite be the same as we were--just as you will not quite be the same after reading this review.